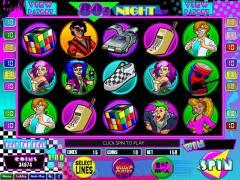 80s Night is another exciting video slot game designed by Wizard Gaming, one of the emerging online gaming software companies. It has a wild (the Chee-a-Pet symbol) and two scatters. There is an additional scatter that is also a bonus icon, and it triggers the free spins bonus round. 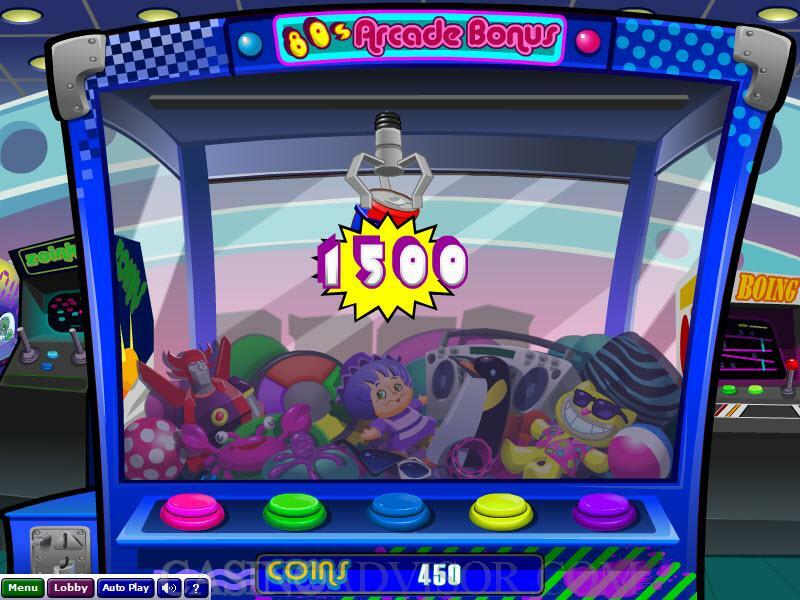 You can bet up to ten coins per spin; the game has five reels, and it contains 15 paylines. 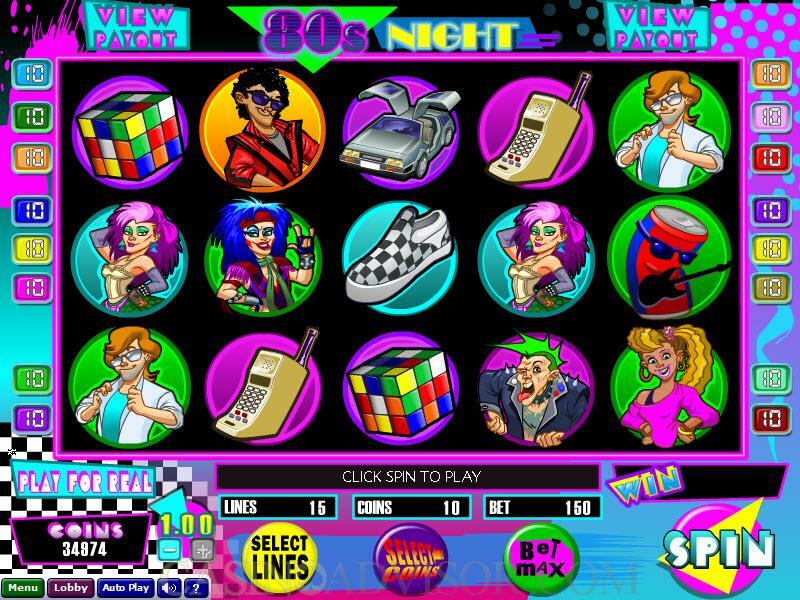 Any round of play with the 80s Night game is activated when you click the "SPIN" button, which you'll find with the "Art Deco" lettering at the bottom right-hand corner of the interface. When three or more "Dancing Can" bonus symbols appear anywhere on the reels, the Free Spins Bonus Game is triggered, which awards you twelve free spins. The machine will basically execute these free spins by itself, kind of like it is in AutoPlay. When you take the free spins, any wins you achieve during this time are doubled in value, but unlike some games, there is nothing that will trigger more free spins during this bonus game. 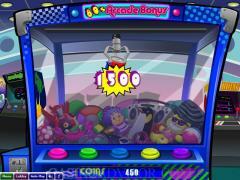 There is another bonus game - the Arcade Bonus. When the Rubik's Cube symbol appears on reels 1, 2 and 3, the game is activated, and you will have the opportunity to choose from among five different buttons to receive a bonus amount. You will continue on with this game until you either have a jackpot or come up dry with no bonus. You can play ten coins per line, and with a $1 coin size, that makes for a maximum bet of $150. Winning combinations pay only on paylines that are enabled, and it is very easy to enable a payline. All you do is click on the big yellow "Select Lines" button at the bottom of the interface. This is a nice, richly appointed design that jumps out at you. As with a lot of stuff that is "nostalgic," there is a tongue-in-cheek quality to it that makes it amusing to play. Interested in reading more detailed information about 80s Night? If so Click Here for more details.